If Doc Martin from Back to the Future liked coffee he would have made it in an AeroPress. They are syringes that you make coffee in and if you don’t believe me, take a look. And can’t you just imagine the Doc in his workshop using one?! Unlike a syringe, an aeropress has many more components in it. And here is the other funny thing. The aeropress was created by the same guy who invented the most popular frisbee in the 1980’s- the Aerobie. How Does An AeroPress Work? An aeropress is only big enough to make 1 or 2 cups of coffee. Ground coffee and hot water are placed into a plastic chamber and then this mixture steeps for about 30 seconds before the coffee and water are forced through a filter and into a cup. There are two slightly different ways to make an aeropress coffee. The Reverse Method: which requires you to assemble the aeropress and add the coffee and water before turning it upside and placing it on a cup. How to Use an AeroPress? This quick video demonstrates the eight steps that are needed in order to make an aeropress coffee. Step 2: Add 2 scoops of finely ground coffee into the aeropress container. Step 3: Add water up to the top of the container. Step 5: Let the coffee bloom for 30 seconds. Step 7: Push the plunger down slowly- it should take about 20 seconds. Step 8: Add more water, if desired. What makes the aeropress quite unique in terms of coffee making methods is that it was only invented in 2005. It is very apt that the man who invented this slightly curious method, Alan Adler, was also the creator the Aerobie- the phenomenal flying discs which were all the craze in the 1980s. Adler created the aeropress because there wasn’t a coffee maker available that could make a really decent single serve of coffee. Great Flavour– aeropress coffee has a rich flavour and low acidity. Cheap: compared to other methods an aeropress is very inexpensive. Tiny: makes a great cup of coffee for one. Quick: the coffee only needs to bloom for 30 seconds. Easy Clean: once used, the aeropress is quick and easy to clean. Portable: It is small enough and light enough to take anywhere. Electric Free: This device doesn’t need power and so it can be used when you are camping or out hiking. Small Pieces: there are many components in an aeropress. This makes it more difficult to put together and easier to misplace components. Unsocial: this is not a coffee making method that will suit people who make coffee for drink it in groups. Lukewarm: By the time that your coffee is in your cup, it may not be very hot because of the time that the coffee has taken to bloom. Solution? Try pre-heating your mug. Polluting: Single use white filters cannot be recycled. Solution? A better alternative is a stainless steel filter, like this one. There are two types of problems that people experience when they make coffee with an aeropress. Firstly are problems relating to taste- and these are same problems (link to french press) that people face no matter how people make their coffee. Secondly are the struggles that users face with the device itself. So, let’s take at a look at the issues that users have relating to taste. Bitter coffee is caused by over extraction. 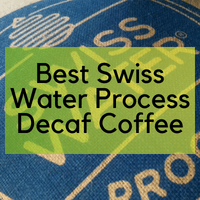 This is a technical term that means too many compounds within the coffee have been transferred into the water. There are two main causes of this. * The length of bloom (the time that the coffee grounds and water are allowed to sit for) is too long. *The coffee grounds that are used are too fine. Sour coffee is the opposite of bitter coffee in every way. Bitter coffee is created by “too much” of everything, whereas sour coffee has “too little” of everything. Sour or salty coffee is caused by under extraction, which is when not enough of the coffee compounds transfer into the water. It seems totally barmy but coarse grinds of coffee have smaller surface areas than fine grinds of coffee. The bigger a coffee grind, the more time it will take for the compounds and flavours to transfer into the water. In the case of an aeropress creating sour coffee, your grinds might be too large and not have enough bloom time for a full flavour to emerge. The solutions are to either increase the bloom time or decrease the size of coffee grind. Now that we have examined common problems that aeropress users have relating to taste, it is time to explore equipment related failures. As I have said before, with so many different components, the aeropress is a complicated piece of kit which can cause problems. There are two main problems that I want to focus on; leaks and plastic cracks. Problem: This is a fairly common frustration that many users have. It happens when the original method is used with the aeropress. This is the method that has the aeropress placed on top of a mug whilst the coffee and water are added. As soon as water is added, weak coffee starts to leak through the filter. Solution: Although leaking can sometimes be prevented by making sure that the filter is soaked with water before any coffee or water are added, the best way of fixing the leaks is to use the “upside down” method. Using this method the aeropress is put together and the filter, coffee grounds and water are added away from your mug. The aeropress sits upside down and then after the coffee has bloomed, it is flipped and placed on top of a cup- ready for plunging. The video below quickly demonstrates the upside down method in action. Problem: A second common problem that users are reporting about their aeropress devices are that over time, the plastic cases seem to fatigue, crack and scratch. Looking on forums, this problem can start after about six months- although how often people use their aeropress varies enormously. There are two main concerns that users have as a result of this. *Can they get a new device for free- and the answer here is that although some people have got a free replacement, most users have just bought new parts. *Whether any of this plastic is seeping into the coffee and potentially becoming a health hazard. The good news here is that most aeropress devices are not made with any harmful plastics such as BPA and so this should not be a big issue of concern. As have been repeated many times, there are much more important factors to making coffee than the blend or type of roast that you use. Most coffee lovers agree that the a fine grind is the correct size when using an aeropress. A fine grind is perfectly suited to quantity of water used in an aeropress and the bloom time that should be used. The big issue with buying ground coffee is that no matter how it is stored, it will not stay fresh for very long. Factor in the size of bags that ground coffee is sold it and the rate with which people use it, lots of coffee drinkers might be drinking stale coffee. 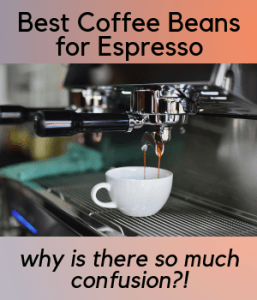 The answer to this is to buy whole bean coffees, which you can grind on a cup by cup basis. Without a doubt, grinding your own coffee is far more hassle but it gives you much better control and a much better chance of creating a cup of coffee from heaven. I have written an article on coffee grinders here but if you are interested in buying one but are on a budget look at this one but if you want the equivalent of a Ferrari, this is your baby. You can use any type of coffee blend or coffee roast with your aeropress as it all depends on your individual likes and dislikes. However, if you would like some pointers then here we go. Many people liken the coffee made in an aeropress to an espresso and so this might be a great coffee to try first or if you like decaf try this. If you want to stick with buying ground coffee then think about this or this. Once you have sorted out that, then it is really up to you decide what type of coffee roast that you want. Part of it will depend on whether you drink your coffee without or without milk. If you drink coffee with milk then chocolate coffees from South America might be just what you are looking for. And this whole bean blend and this ground coffee come highly recommended. If you like black coffee, then more fruity coffees from Ethiopia could be a match made in heaven. This is a popular whole bean choice and for ground coffee enthusiasts, here you go.